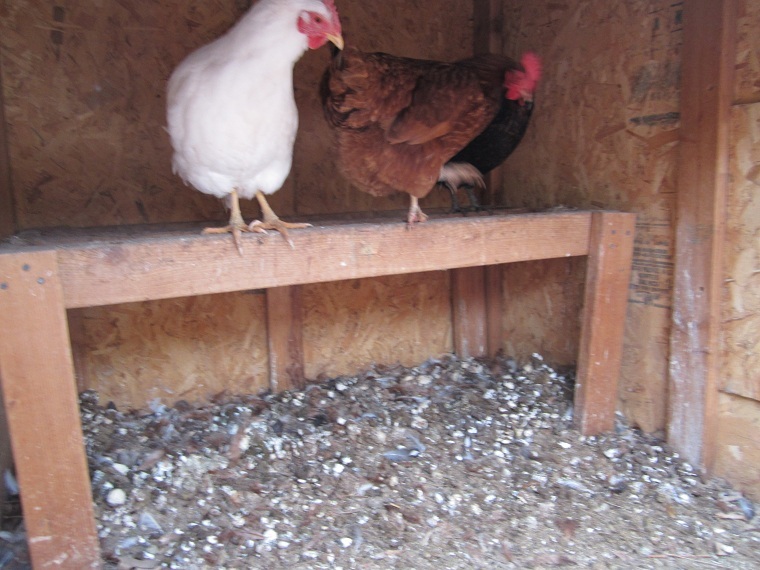 When we first researched keeping chickens, my only hesitation was the idea of having to clean a coop weekly. I used to have a parakeet, and I hated changing his newspaper tray, and I hated cleaning my hamster’s cage too. I was dreading having to clean a coop. I envisioned this, happening weekly (by the way, she was cleaning a coop inherited when she moved to the property for the first time). Then, I ran across something describing the deep litter method, and I knew I had found the solution. We clean our chicken coop (specifically the hen-house) twice a year. And no more. And the coop does not smell. 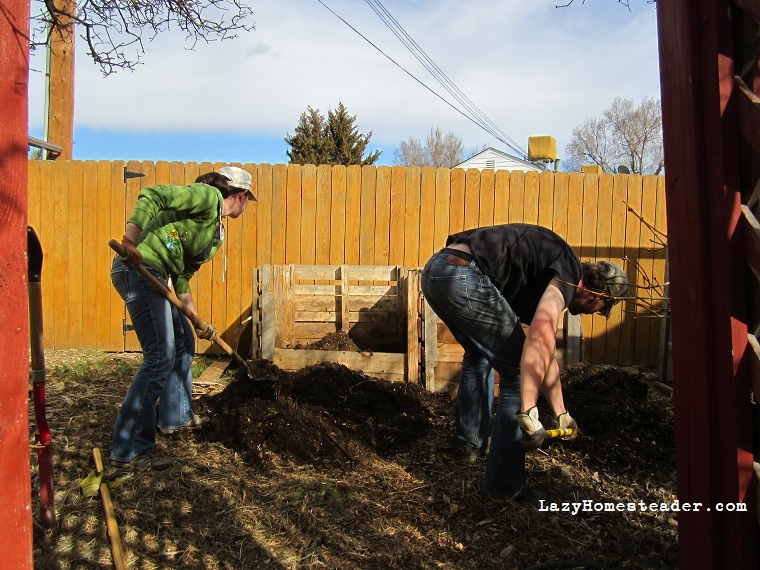 In fact, when we participated in the Denver Botanic Gardens/Denver Urban Homesteading Chicken Coop tour, everyone remarked on how our coop did not smell. I didn’t clean it before the tour, because I wanted to show what the method off and let people see what it looked like to have chickens in real life. Here is how the method works in case you are like me; allergic to hard work involving poop. 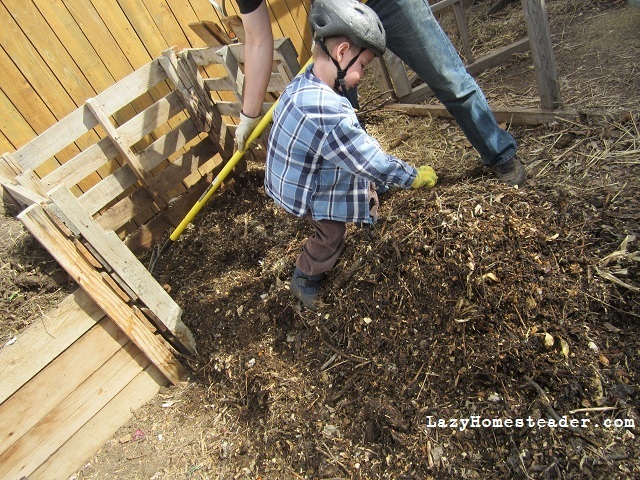 Put down more shavings or leaves. I just throw it in – I don’t spread it nicely or anything. I’m not touching that crap. 😉 The chickens will dig through it and spread it around anyway. Repeat until spring comes. Note that I mainly just put litter down right under the roosts. If it’s very rainy or snowy, we put their food and water inside the house (usually we keep them in the run) and we don’t want them to throw litter in the food and water. 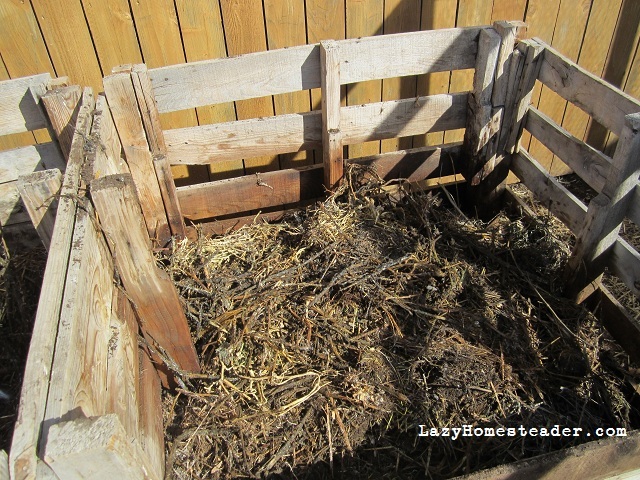 Finally, on a nice day, when you feel like doing it, bring the wheel barrow over to the coop, scrape it all out, and dump the decomposed poop/leaves/shavings mixture into your compost bin. It’ll be mostly all composted anyway. 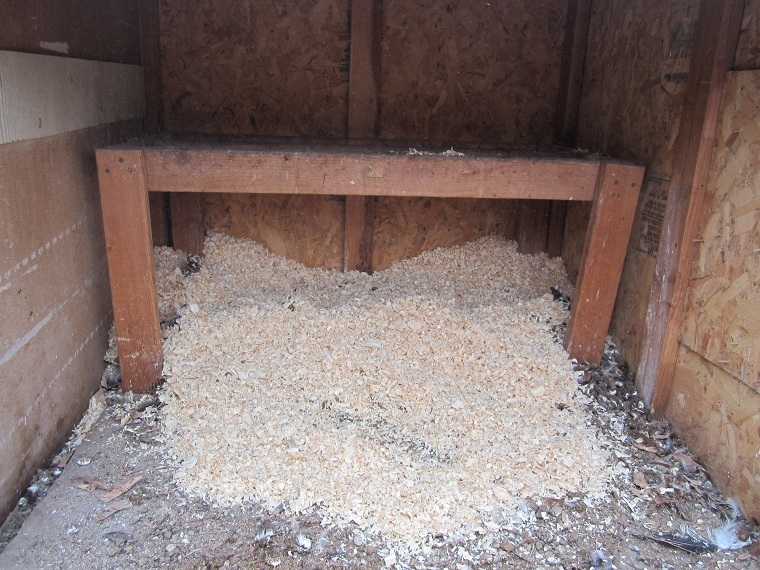 Then clean out the coop and put down a fresh layer of shavings or leaves (if you have any more). You are basically composting in the bottom of the hen-house. And as you learned a couple weeks ago, compost generates heat, perfect for helping your flock stay warm during the winter. And I can totally handle cleaning only twice a year. 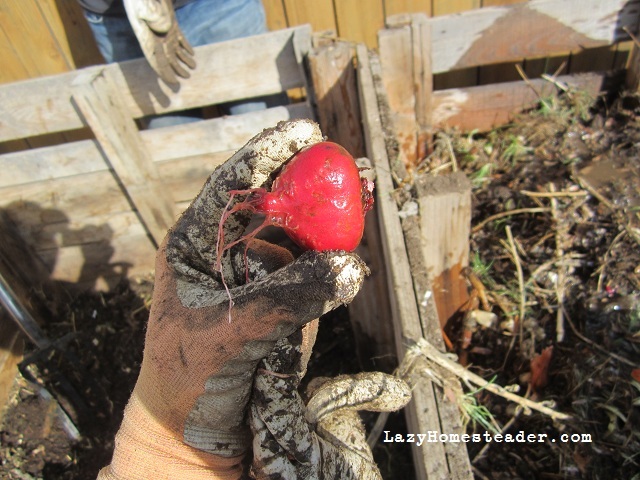 If you read yesterday’s urban homestead boot camp post, Composting Basics Part I, you remember that I said I love compost. Besides what it can do for you (you know turning “trash” into garden treasure, restoring and maintaining soil health, balance soil pH and neutralize chemicals, etc. ), I love the way it does it. I know it’s probably a little weird to love decomposition, but I do. Yesterday, I told you that there are a lot of choices when it comes to bins, piles, and systems. Worm bins and Bokashis are pretty specialized and self-contained systems. I really don’t have much experience with either. But I have used both a pile and a bin. 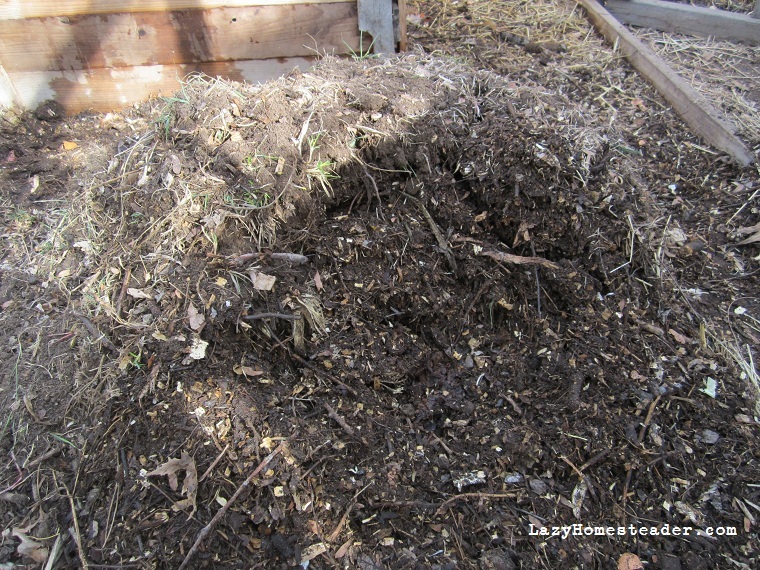 A pile is best for “cool” composting. It’s great if you aren’t in a rush for your finished compost, and if you don’t want to think much about it. It doesn’t take a lot to build one. And a pile probably won’t generate much heat, hence being “cool.” Plan a year to two years for harvesting. 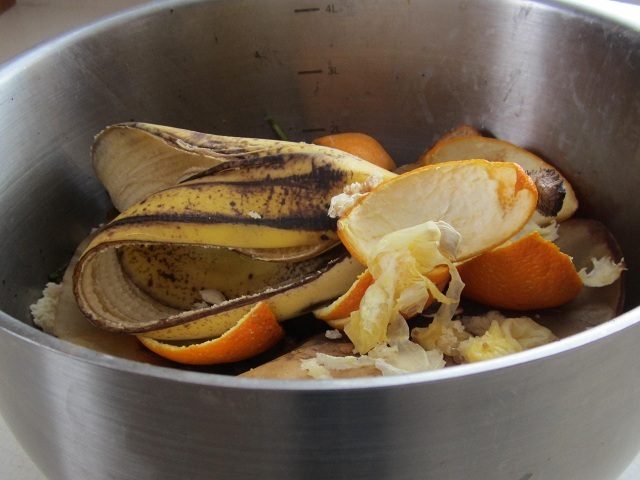 With this method, you basically just throw your kitchen scraps, yard waste and what-have-you into a big pile, and let it do its thing. You can help it along by turning/stirring/forking it a couple of times a year, and by chopping up the browns you put into it. Some people use a chipper or run over their browns with their lawn mowers before adding them to their piles. 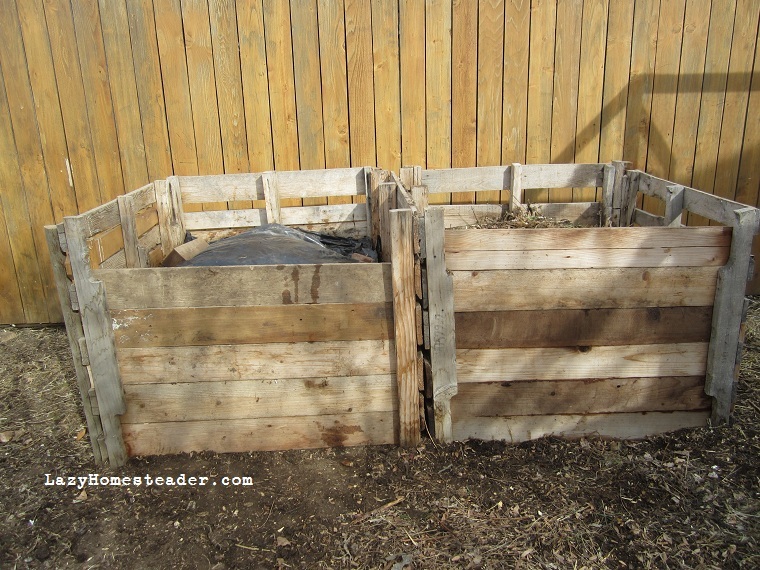 You can cool compost in a bin too. A bin will speed things up for you a bit more. You will get more heat with a bin, and more heat means faster decomposition. Right now, our family is “hot” composting. A hot compost bin decomposes things very fast. One pallet bin gave us over 80 gallons of finished compost in about 8 months last year. For hot compost, you layer in your organic waste, give it a good soaking with the hose, and cover it (we use thick black plastic). As it rots it generates heat, cooking the organic waste. The heat actually comes from micro-organisms digesting everything. It can get hot enough to kill weed seeds. The key here is you don’t want it to get too hot. You want it to rot quickly and kill the bad stuff, but you don’t want to kill off the good guys. So you need to rotate it. Or maybe aerate it is a good word. Two bins make this nice as you can flip it from one bin to the other. 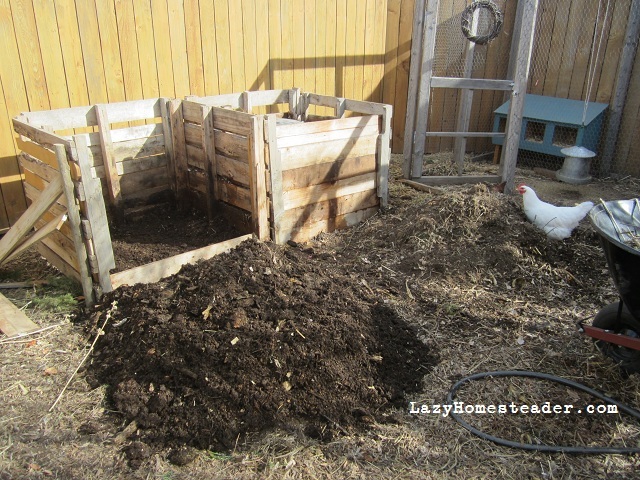 Sometimes, during the summer, we open it up, put out the half-finished compost, let the chickens scratch through it for a day or two and then scoop it all back in, water and cover again. If you have a tumbler, there’s no need to use a pitch fork at all, just spin it. 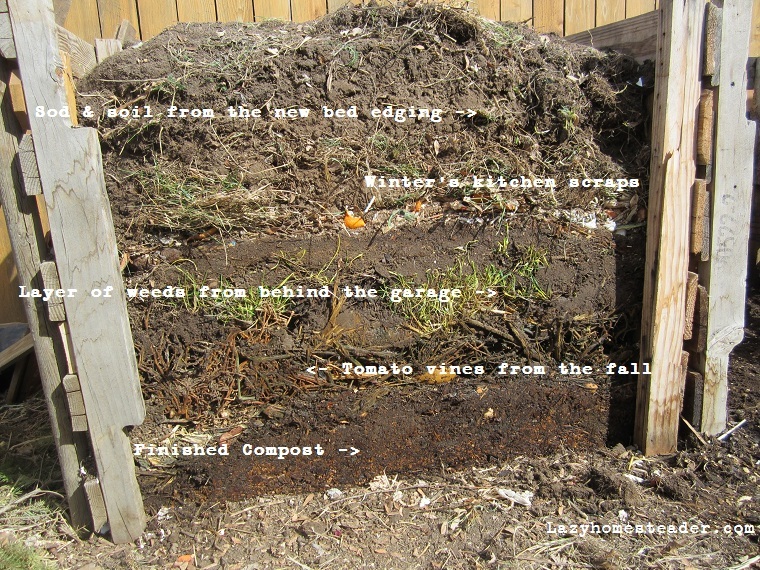 So exactly what do you put in your compost bin? “The greens” vs. “the browns.” General advice is that for cool composting you need a 40/60 mix of the two, with more browns. 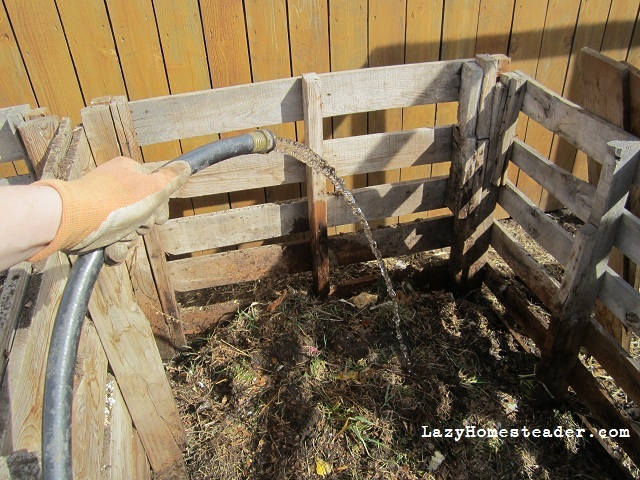 For hot composting, the ratio is even greater, closer to a 5 to 1 ratio or more of browns to greens. But what are they? The greens provide nitrogen and the browns give carbon. The only things I don’t compost are dog/cat poop, human feces, and bones. All of them can be composted but they can make your pile smelly and attract animals to your pile. There are all sorts of cute counter top containers for compost. I keep a big stainless steel bowl on my counter to catch all of our kitchen scraps, our greens. I used to use a porcelain one, but it got ruined, so stick with stainless steel. When it is full or before bedtime, we take the bowl out to the pile. I cover the bowl with a plate in the summer if fruit flies are a problem. Most people don’t have a problem coming up with enough greens. Browns can be tougher. It helps to keep a source of browns nearby. Yard waste is perfect. We beg leaves off the neighbors in the fall. In the summer, instead of putting grass clippings in as a green, we [have our neighbor who collects his] spread them around the chicken area. The hens use them as littler and for a couple of weeks until they are completely dry. Then we rake them up and toss them in the pile. 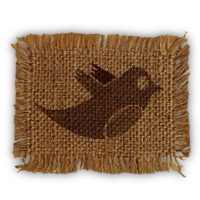 Dried leaves, straw, dead plants, wood shavings and shredded paper all work. Usually, as long as you keep plastic out of it, the bathroom trash is all compost-able. In addition to your greens and browns, you pile will need air and water. Keep your pile moist – like a wrung out sponge, or chocolate cake. We cover ours to keep the moisture in during the summer. And we turn it and mix it. It gets quite hot in the middle, so we move the middle to the outside edges and the edges in to the center to cook. Then we water it some more and cover it back up. Some people add soil or finished compost to their pile. If your soil is healthy, it has all kinds of good micro organisms that help with decomposing your pile. It’s sort of like adding yogurt to hot milk to make more yogurt. What about the smell? As long as you aren’t adding milk, meat or carnivore poop to your pile/bin, your compost should not smell foul at all. If your pile has any odor other than a good soil smell, you probably need to turn it, add browns, or both. Sometimes our bin gets an ammonia smell. This usually happens after we’ve added the contents of the chicken coop to the pile and it’s had a chance to get going. Chicken manure is very rich in nitrogen. Adding in more browns and mixing it up, getting the inside to the outside and vice-versa, takes care of it. 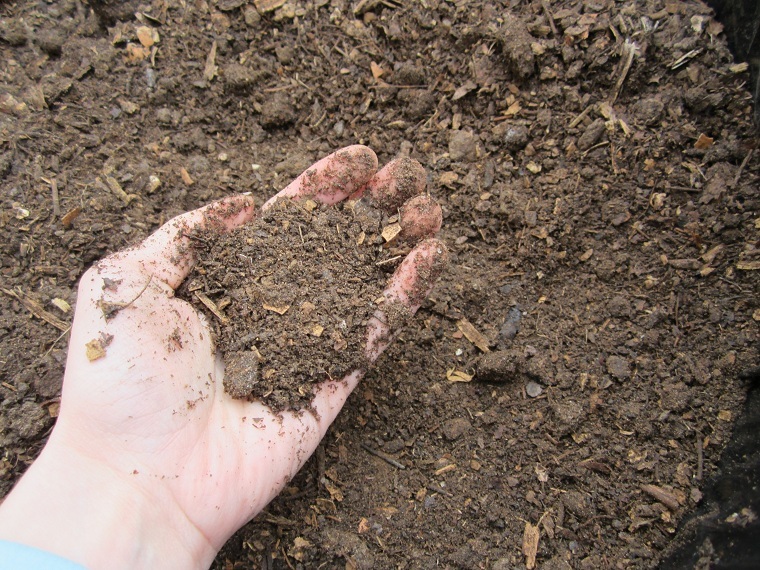 When your compost is done, it should look like great soil. No big bits or pieces of anything, light and fluffy, not soggy at all. 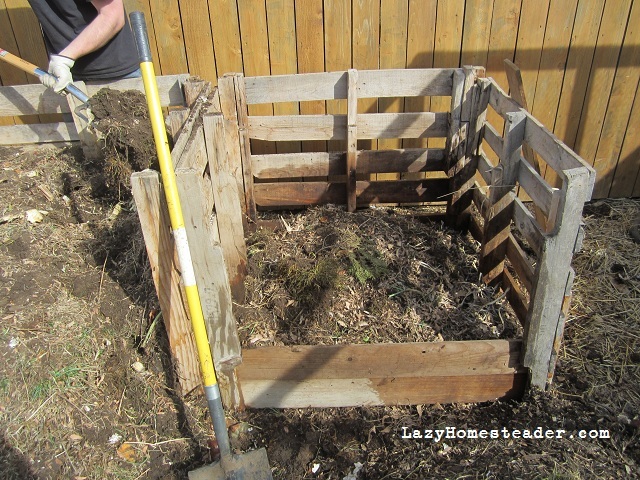 The compost shown above still has bits of egg shell and wood shavings (the browns take the longest to decompose) but I would put it in my garden like this anyway. Boot camp is back in session. And I have a confession to make. I love compost. I mean I really, really love it. I love the whole process of it. I find it completely fascinating. Compost is so awesome. Completely dreamy, in fact. I might be obsessed. Compost builds up your soil. There is a reason it is called “black gold.” It provides good organisms, holds water, gives nutrients, improves clay soils, improves sandy soils, kills pollutants, fertilizes. It is awesome. Using compost reduces the amount of water, fertilizer, pesticides, and soil modification needed to grow a great garden. Compost gets rid of your waste. Basically, most things that can’t be recycled can be composted. If it was alive or came from something that was alive, you can compost it. Food waste, paper, yard waste, hair, wood, natural-fiber cloth, cardboard, even meat (but you’ll want to do it right). We’ll call all these things “organic waste” for the purpose of this post. The only things that can’t really be composted are plastics, disposable diapers, and other synthetic materials. Although bones can be composted, they will take a longer time than most gardeners want to put in, or are more likely to get stolen from your pile by some critter. 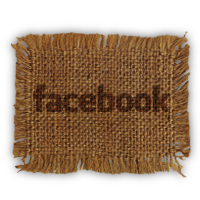 Seriously, what is cooler than something that turns all of a household’s non-recyclable waste into something that isn’t waste at all? Something that gives back, that makes the gardens better? Can you see why I’m infatuated? Compost turns trash into treasure by rotting. Yep. Rot. Experts talk about the greens and the browns, but the bottom line is that a compost bin uses water, heat and air to decompose all those vegetable peelings, coffee grounds, egg shells, grass clippings, leaves, straw, chicken poop, etc. What you need is a place to put it and a way to turn it to get air into it. Large bins are great if you have a family, a large garden or a large amount of organic waste to compost. 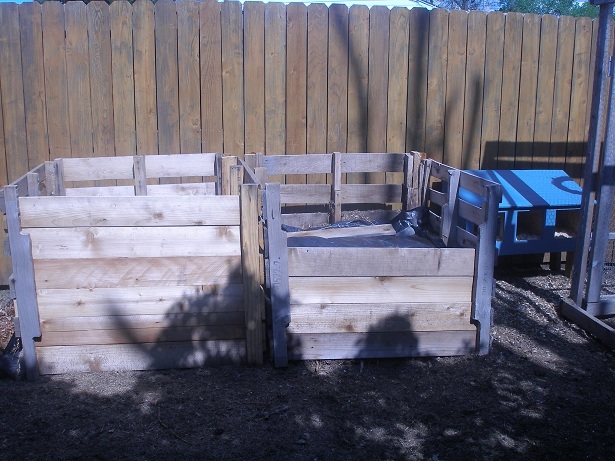 We don’t have the biggest yard, but we have two pallet bins in the chicken area that we use for composting. You can make your own, or buy a variety of bins that range in size from pretty moderate to very large. Some even turn themselves. *Note: Amazon links connect to Northwest Edible’s affiliate links – Help a garden blogger out! Or, skip a bin all together and just have a designated pile. You’ll want to place your compost bin(s)/pile somewhere that gets some sun during the day and where you can get water to it. 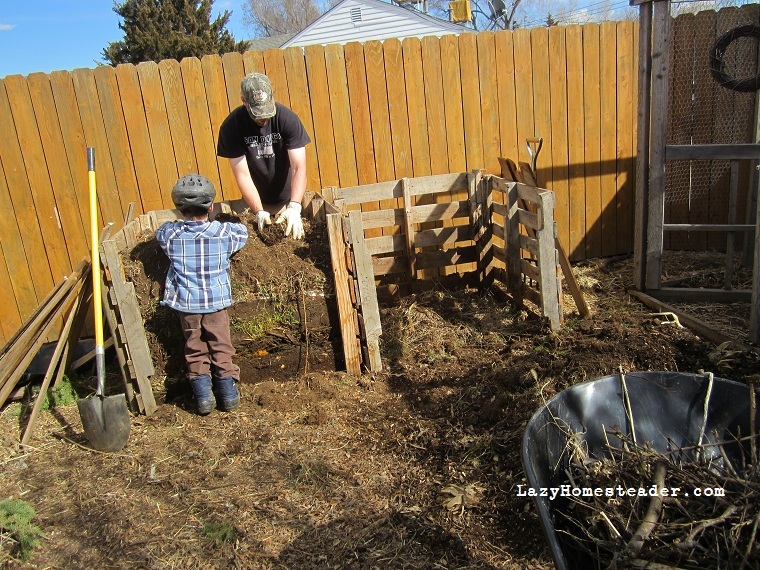 A great place is in your garden so that you won’t have to go far with your finished compost. Close to the kitchen is nice too, so it’s easy to fill, but you really don’t want it right up next to your house. Trust me. Our first bin was next to the house and we had a mouse invasion in the fall. Now our bins are out in the chicken area. Which is not close to the garden or the kitchen, but it is convenient for cleaning out the coop. (Yep, broke all the rules I just mentioned. That’s the way we roll). It should also be free-standing; not up against a wall or a fence. If you have a very small area, say only a patio or balcony, you might want to consider vermicomposting. That is composting with worms. They are a specific kind of worm, red wigglers, and they can live in a small box (or a big one) and they can eat through your kitchen waste pretty darn quickly. Their bins can be really small and stacked, and I’ve even seen some that are topped with planters (double duty!). They don’t need to be turned and they don’t need much “brown” material, but you do need to maintain them (you want the worms to stay alive). Plus then you have little wiggly pets. There are many different towers that you can buy or you can DIY with a plastic storage bin or wood. Check YouTube for a bunch of tutorials. Worms make excellent compost tea, which is a superb fertilizer that, once diluted, you can pour into your garden beds to help your plants. Think of it as natural Miracle-Gro. You can have a worm bin indoors as well. If the only place you have to compost is under your sink, or if you think you need a way to compost meat or dairy, you might want to consider a Bokashi. I don’t have any hands on experience with one (we toss any extra dairy or meat scarps to the chickens… except chicken, of course), but they are pretty ingenious. They are small and air tight, so there is no smell and they use probiotics (the good micro organisms) to decompose what you put in there. They don’t hold a ton, but they are efficient and get you compost tea quickly. Tomorrow, I’m going to cover what to put in your compost (you know, “greens” and “browns” and all that), plus the difference between cool and hot composting. Since I do all of our composting outside, I’d love to hear your experiences and thoughts on vermicompost and the Bokashi methods. Tell me, tell me! With 2012 upon us, many more people are looking to save money and live healthier. Sustainability is on more minds lately, and more people are getting started with their first garden or flock of urban hens than ever before. I don’t claim to be an expert, but I am completely willing to share my successes and failures with others. 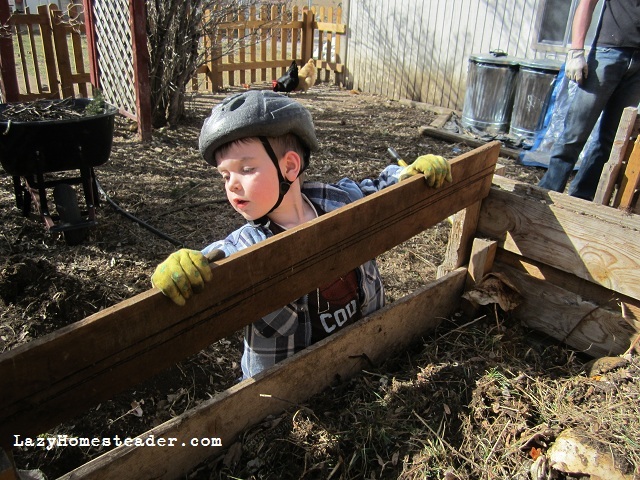 The last five years have given me enough experience that I at least feel comfortable offering up a quick and dirty urban homesteading boot camp for others just getting started. 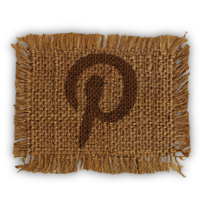 I plan to run a series of posts for at least eight weeks, possibly as many as ten. Here are the topics I have planned for the next few weeks. I also am completely open to discussing other topics if there is an interest in them. 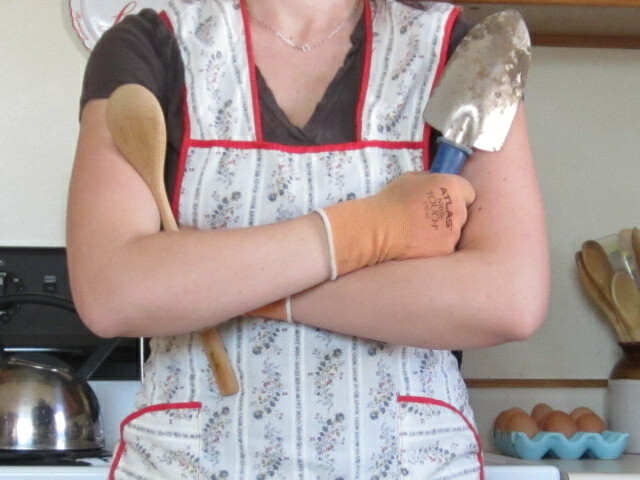 I’m hoping to also have a post about other kinds of urban livestock, and possibly cheese or yogurt making. 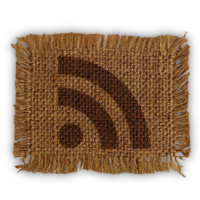 What else would you like add to your homestead skill arsenal? What projects do you have this year? Are you just getting started or going beyond the basics?